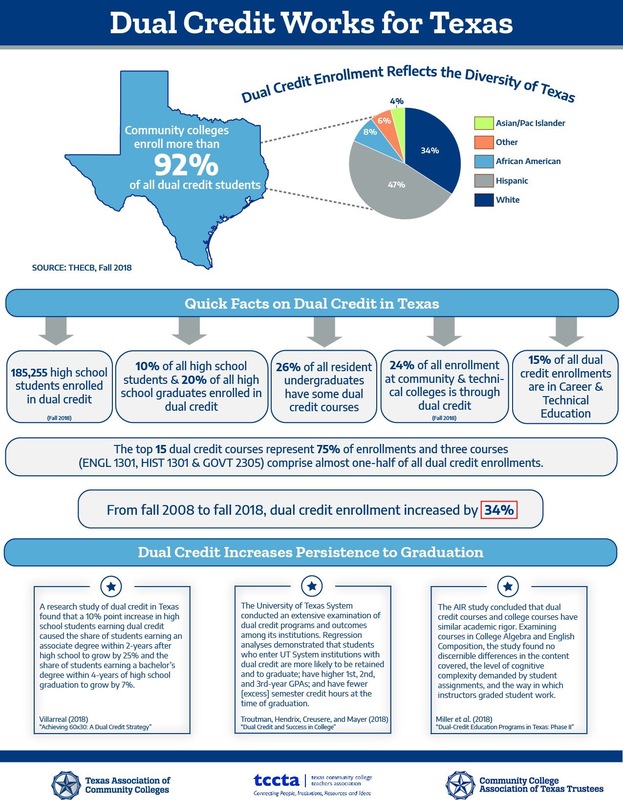 We believe #dualcreditworks & #TXcommunitycolleges enroll more than 92% of all dual credit students in Texas. If you'd like to learn more about why we support the establishment of a statewide goal for participation, check out some quick facts below! What Happens to Students Who Take Community College "Dual Enrollment" Courses in High School?